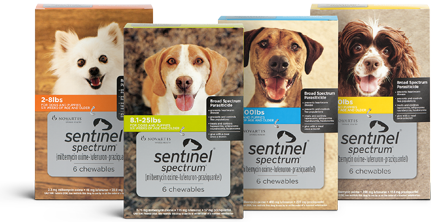 Sentinel Spectrum beef-flavored chewable to protect against 6 parasites. Given monthly, Sentinel Spectrum prevents heartworms and prevents and controls fleas. Each chew also treats and controls whipworms, hookworms, roundworms and tapeworms.